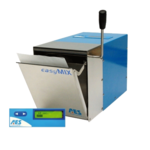 Before performing the analysis, take care of your food sample preparation. Dilute and Blend with AES Blue Line™. Bring automated sample preparation into your food microbiology lab – boost productivity and improve compliance.